Below you fill find all funeral homes and cemeteries in or near Cozad. Cozad is also known as: Dawson County / Cozad city. Zip codes in the city: 69130. Some of the notable people born here have been: Christopher Harris (actor). Cozad is a city in Dawson County, Nebraska, United States. The population was 3,977 at the 2010 census. The town is on the Great Plains of central Nebraska, along the Union Pacific Railroad and U.S. Highway 30, just north of the Platte River. The 100th meridian, which roughly marks the eastward boundary of the arid plains, passes just west of the town as is marked nearby on a prominent sign across U.S. Highway 30. In the early 1860s, it was a stop along the Pony Express.Cozad is part of the Lexington, Nebraska Micropolitan Statistical Area. It was reported by Kearney Hub on March 19th, 2019 that Bonnie Young (Harding) passed away in Cozad, Nebraska. Ms. Young was 89 years old. Send flowers to express your sympathy and honor Bonnie's life. It was revealed by Kearney Hub on March 1st, 2019 that Dalen "Dale" Kopf died in Cozad, Nebraska. Kopf was 94 years old. Send flowers to express your sympathy and honor Dalen "Dale"'s life. It was revealed by Hastings Tribune on January 14th, 2019 that Leland Lyle Steinkruger died in Cozad, Nebraska. Steinkruger was 78 years old. Send flowers to express your sympathy and honor Leland Lyle's life. It was written by Kearney Hub on December 19th, 2018 that Leona O Ottman (Brown) perished in Cozad, Nebraska. Ms. Ottman was 85 years old. Send flowers to express your sympathy and honor Leona O's life. It was noted by Grand Island Independent on November 16th, 2018 that Sandra Ann "Sandy" Thinnes died in Cozad, Nebraska. Thinnes was 71 years old. Send flowers to share your condolences and honor Sandra Ann "Sandy"'s life. It was disclosed by East Oregonian on November 5th, 2018 that Thomas E "Beenie" Beenblossom passed on in Hermiston, Oregon. Beenblossom was 72 years old and was born in Cozad, NE. Send flowers to express your sorrow and honor Thomas E "Beenie"'s life. It was written by Kearney Hub on October 28th, 2018 that Donna Chesley died in Cozad, Nebraska. Chesley was 91 years old. Send flowers to express your sorrow and honor Donna's life. It was reported by Kearney Hub on October 19th, 2018 that Margaret E Jensen (Lilly) passed away in Cozad, Nebraska. Ms. Jensen was 84 years old. Send flowers to express your sorrow and honor Margaret E's life. It was noted by Kearney Hub on October 17th, 2018 that Harriet Ann Bullr (Bacon) perished in Cozad, Nebraska. Ms. Bullr was 91 years old. Send flowers to share your condolences and honor Harriet Ann's life. It was reported by Kearney Hub on October 2nd, 2018 that Phyllis Joyce Taft (Geistlinger) passed away in Cozad, Nebraska. Ms. Taft was 90 years old. Send flowers to express your sorrow and honor Phyllis Joyce's life. The population was 4,163 at the 2000 United States Census census. The town is on the Great Plains of central Nebraska, along the Union Pacific Railroad and US Highway 30, just north of the Platte River. In the early 1860s, it was a stop along the Pony Express. The 100th meridian west meridian, which roughly marks the eastward boundary of the arid plains, passes through the town as is marked by a prominent sign across US Highway 30. Cozad is a city in Dawson County, Nebraska County, Nebraska, United States. 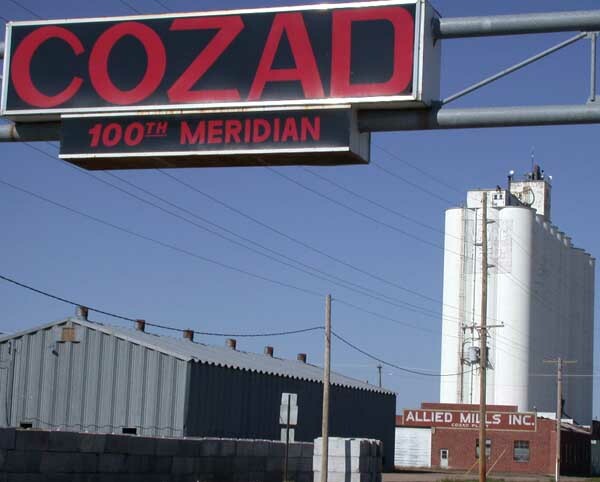 The official website for the city of Cozad is https://cozadnebraska.net/. Listing all funeral homes in Cozad, Nebraska so you can easily send flowers to any location (same day delivery) or find any funeral service. Find a Funeral Home inCozad, Nebraska NE to provide the caring burial and ceremonial services your family deserves. We work with local florists and flower shops to offer same day delivery. You will find budget sympathy flowers in Cozad here. Our funeral flowers are cheap in price but not in value.